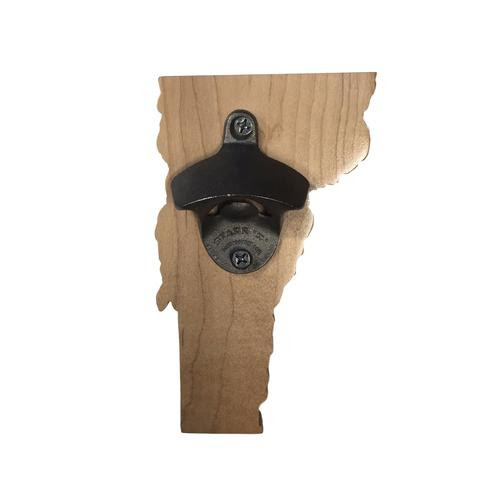 Common Deer has everything you need to fill your holiday gift list: unique Vermont gifts, apparel, and the perfect accessories for you and your home this season. And be joyful that it's all made in the USA! Woven in a similar construction to blankets originally commissioned by the US Military, the blanket’s durability is as remarkable as the craftsmanship required to create it. The Shadow Plaid’s rich colors and bold classic design are accented by a vibrant red whipstitch edge. 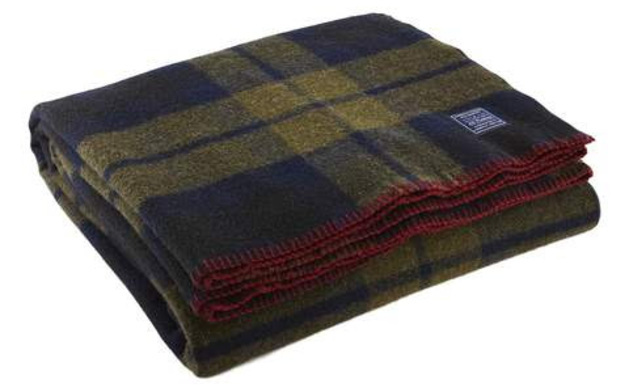 This 100% wool blanket is both machine wash and dryable. 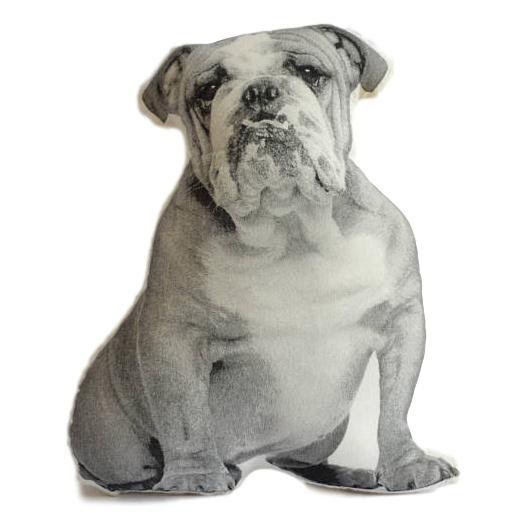 - Dimensions: Twin 66" x 90"
This canine will look great on your couch and keep it neat too! Pillow measures 8"x15" Materials: All pillows have been silkscreened with non-toxic water based acrylic paint. They are printed on muslin fabric and stuffed with 100% poly-fil. 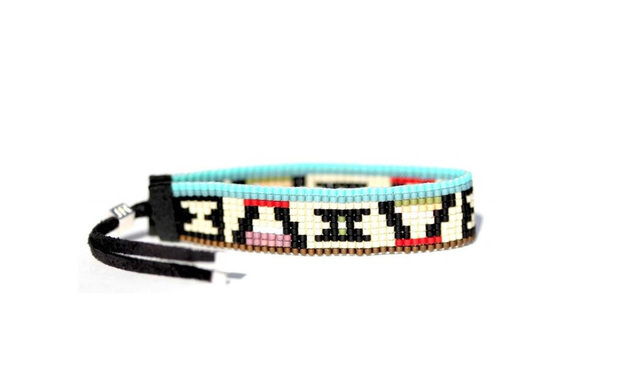 Handwoven glass beaded bracelet with all matte beads, geometric design, sterling silver clasp and tassel ends. Each print is a printed on 100% cotton premium archival matte fine art paper with archival pigments. All prints are digital reproductions of original illustrations. Zarabeth Duell is a self -taught artist and maker. She block prints, watercolors, illustrates, photographs, crafts, sews, and adorns herself and others with henna. 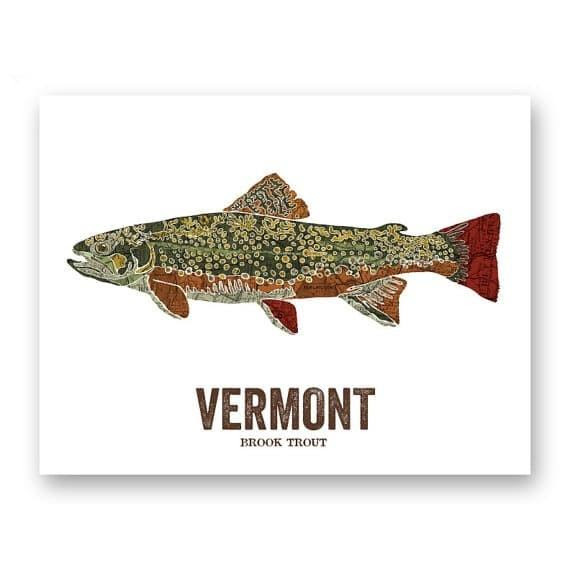 Her work is primarily inspired by the love for her native State of Vermont. Zarabeth lives in the mountains of Lincoln with her husband, two boys, and two dogs, and can be found outside exploring Vermont. 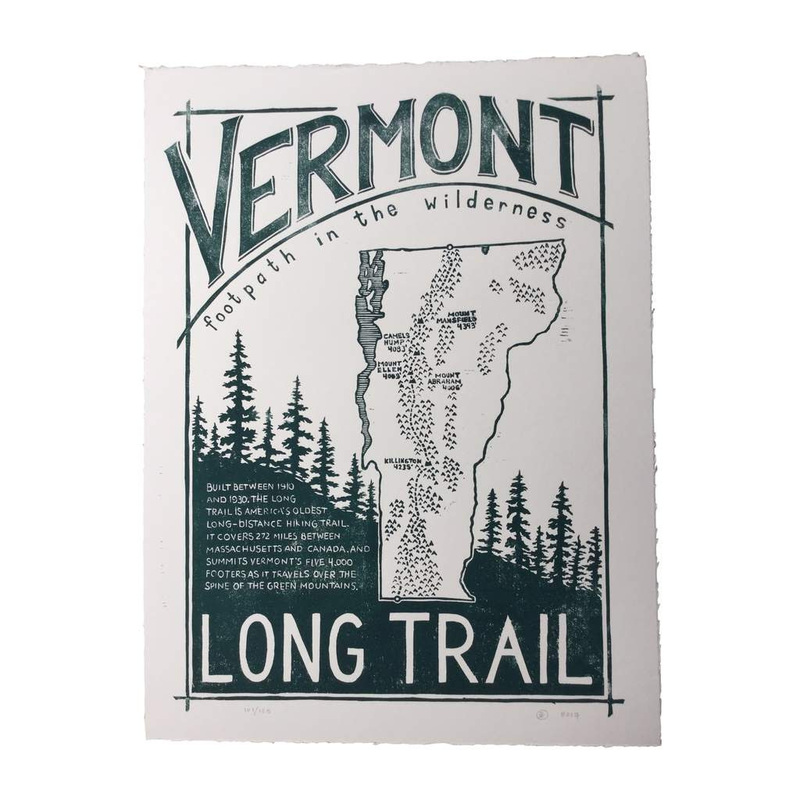 Footpath, a linoleum block print, is inspired by Vermont's Green Mountains and the Long Trail that hugs it's spine. Hiking along the Long Trail, both solo and with her family, continues to be one of her favorite activities. 18 x 24 in. Forest green ink on hand cut paper. 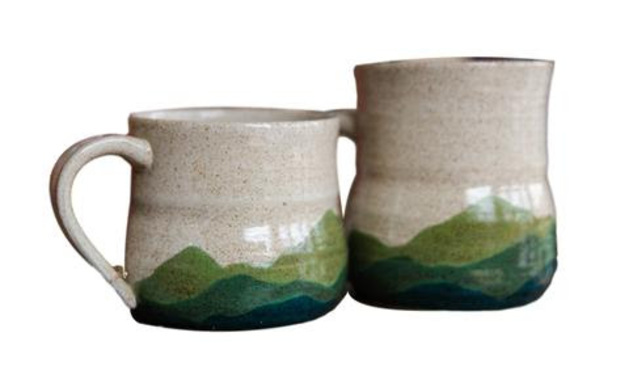 These mugs are thrown and painted in Vermont by a local artist. Each mug is slightly different. Please write in the notes if you have a preference for a slightly shorter or slightly taller mug. They all hold 14 oz. Dishwasher safe and microwave safe. However, the artist does note that handwashing will allow the mug to last longer. 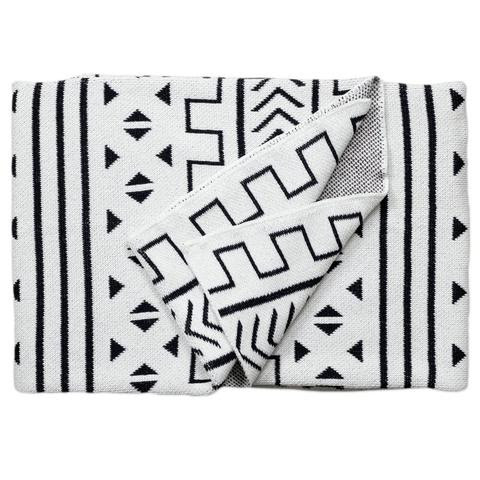 This modern, geometric throw blanket is designed with comfort and luxury in mind. This graphic throw add a punch of pattern to any space. Perfect for the cozy night on the couch or on the bed, it's heavy knit construction allows them to double beautifully as an ultra chic picnic blanket! Use it with love or hang them on a blanket ladder as a decorative home decor statement piece for your living room. 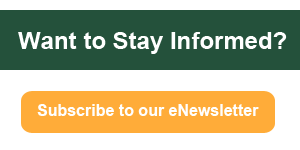 Visit Common Deer at 210 College Street, Suite 101, Burlington, Vermont or visit their website.